2014 is already coming swiftly to a close and Goodreads tells me I’ve finished 71 books this year – a marked improvement on the 41 I read last year. So which books are the ones that still leave me a bit excited when I think about them, going into 2015? I adore this book and I can’t think of an occasion which would render it an unsuitable read (well, maybe not during a wedding or exam!) Feeling angry and frustrated with the world? Find solace in here. Feeling hopeful and keen to make a difference? Inspiration here. Feel…. ok you get it. Warm, original and just plain fun. I’d love to see a sequel to this one. Quite a bleak read, but certainly a haunting one. I still can’t believe that this is a debut novel because Susan Barker’s writing style is so distinctive and assured, it feels like the work of an established author on their 5th or 6th novel to me. If you’re a bit sceptical of fantasy, magical realism and “all that funny stuff” in your reading materials, this would be my go-to recommendation. For me, this is the big one. The best novel I’ve read this year. Robin Hobb is a master at writing complex, fully realised epic fantasies with multiple plotlines that keep you up far too late to find out the latest twist! If you read one book next year, make it this one. The middle book of the MaddAddam trilogy, in my opinion this is definitely the strongest of the three. It picks up an alternate storyline that runs concurrently to the action in predecessor Oryx and Crake and fills in all the gaps from it, while creating a brilliant but disturbing dystopian world in its own right. I’ll be posting a review on this soon, but suffice to say that you need to read this! 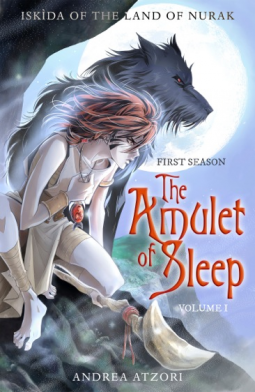 It’s quite hard to classify genre-wise in that I think it’s aimed at a YA audience, but has quite an anime feel, courtesy of brilliant artwork from Dany & Dany. Want to read these titles yourself? Click on the book cover to go to the Hive website where you can buy a copy for yourself or a loved one. 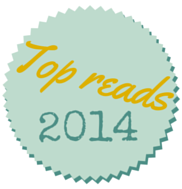 So what are your favourite reads this year?